As a reliable service partner we support you throughout the complete life cycle of your CNC machines, ensuring their productivity and availability. From project planning to the utilisation phase, right through to the decision about the re-use of equipment. The machines and services offered by HELLER are perfectly matched to each other, ensuring maximum performance and productivity in production. Speed is one of our strengths. 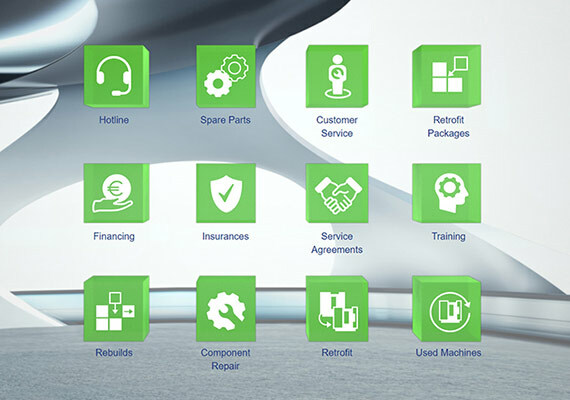 Quick support in parts ordering, repair enquires or technical queries. Fast response times in case of machine faults. 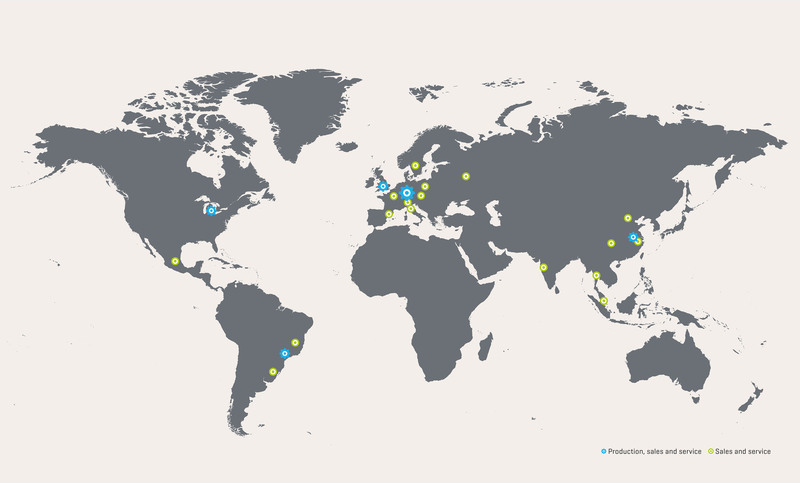 We are here for you, with more than 500 employees working at 30 service bases worldwide. More than 40,000 spare parts are available from stock. HELLER Services offers you a comprehensive range of transparent and clearly structured services. Partnership-based support, outstanding expertise, short response times and customer proximity form the cornerstones of our service range. Below you find our services brochure. Your competent partner. Available at any time wherever you are with fast on-site Service. If you have any questions concerning our products or are you interested in an individual quotation, please contact your HELLER Services base.